Illkirch-Graffenstaden were the Coupe de France specialists in the Amateur division with three successive visits to Paris Bercy. Hence cup games are taken seriously by the club and for the second year they moved the game from their home to the Rhénus sports complex for a double header with the SIG men. Veuillez trouver en bas du page un résumé en français sur le match Illkirch contre Arras en Coupe de France. Arras the visitors have been having an up and down season. 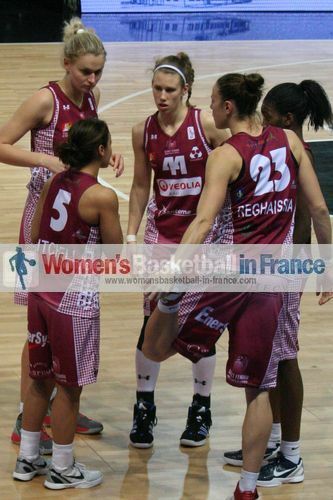 They qualified for the quarter-final of the EuroCup Women but domestically they are at the wrong end of the table. The match itself was intense with not many turnovers. 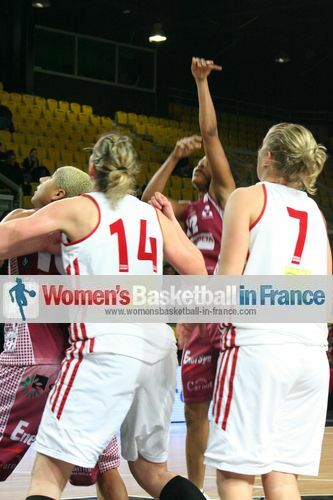 Arras were always in control but almost allowed the SIG to catch them during the second quarter. Pauline Akonga-N'Simbo (right) who was supposed to rest for this game. Yet she ended up playing 25 minutes, scoring 21 points and displaying the sprinting speed that made her an Olympian at the Sydney Olympic Games (2000). Arras did not appear ready for the physical nature of the game but their experience and superior fitness saw them through. 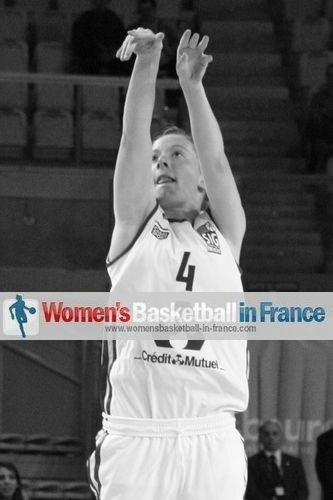 However the player of the match was Céline Schmitt-Sendner working hard at both ends of the court finishing with a game high 24 points. Caroline Nestor appears to love these Coupe de France matches. 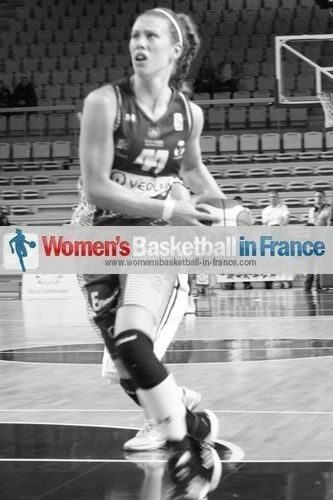 She hit some big shots and just like in her LFB days accumulated fouls. 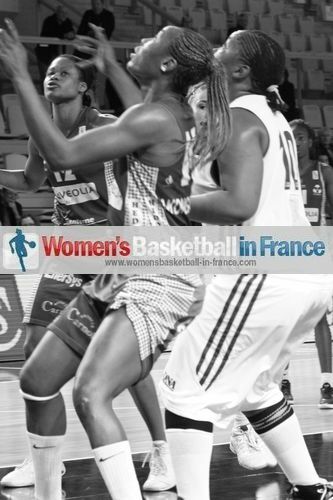 The SIG needed something special from Amina Njonkou. With her fouling out with 7:24 in the final quarter any chance of an upset was gone. 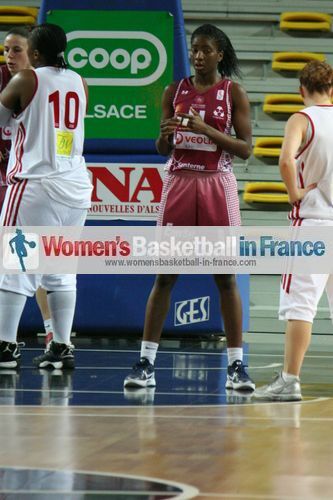 Adja Konteh (in picture) who was in the starting five for Arras was on fire during the first quarter with 8 points. However it was her team-mate Gabriela Marginean who got things going as they led (8-1) with three minutes played. It appeared the flood gates were about to open for Arras after Leilani Mitchell was hitting a shot from the land of many (11-3). It did not happen as the SIG woke up through Lucie Battaglia's hustle and crisp passing. 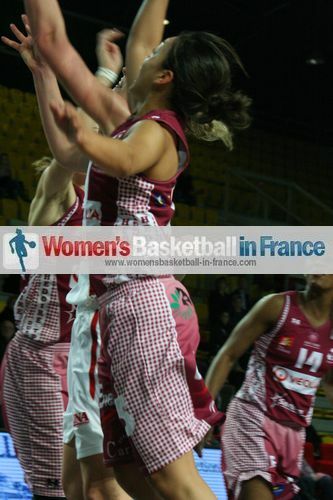 They started to trade baskets while bringing down their deficit (12-17) to the annoyance of Thibaut Petit, the coach from Arras. All the same Arras held firm to finish the first quarter with a 9-point lead (23-14). The SIG players got a little excited at the start of the second quarter. 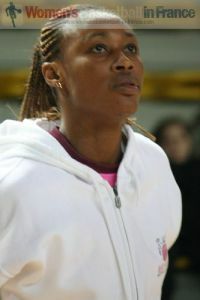 They neglected their defensive duties which allowed Joyce Cousseins-Smith to hit shot after shot with a step back move. With 5:26 to play Philippe Breitenbucher called a time-out with his team trailing by 10 points (22-32). He made some changes and with Céline Schmitt-Sendner firing on all cylinders the SIG trialed (30-34) with 3 1/2 minutes to play. Arras were on the back foot but were able to go into the interval leading thanks to the hustle of Pauline Akonga-N'Simbo and poor free-throw shooting from the SIG. After the break Arras were another team. Sabrina Reghaissïa and Krissy Badé were more aggressive. Mitchell's passes were more accurate while Cousseins-Smith and Alexandra Tchangoue picked up the lose balls. The SIG huffed and puffed but with 25 minutes played and trailing (42-60) a time-out was called. 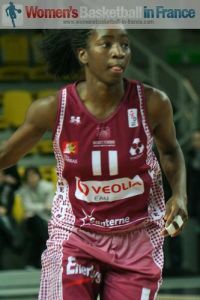 The SIG had to play more aggressively with Njonkou and Battaglia (in picture) throwing themselves into the battle while Lina Brazdeïkyte's movement off the ball was exploited by Nestor and Schmitt-Sendner. 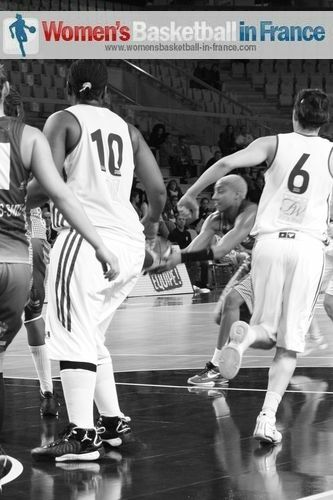 The SIG did not lose any more ground going into the final quarter trailing (53-70). The SIG had so many opportunities to bring the deficit into single digits but they were unable to hit the free throws. 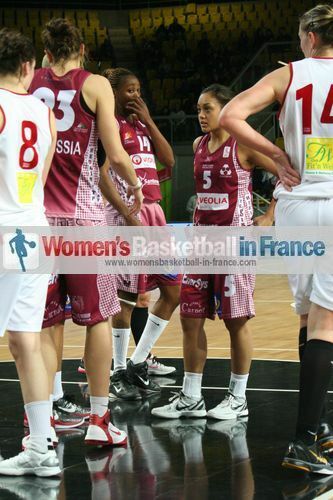 With Njonkou fouling out the energy level dropped for the SIG and they failed to convert a number of lay-ups. Although the SIG veterans stepped up to keep the contest interesting, Arras rode their luck on the foul count with just Badé fouling out to win the game (82-70). Thibaut Petit believed during the first half of the match his players underestimated their opponents. He also felt that his team were absent defensively. However he was pleased with the offensive effort and the way his players reacted to get the win. He also praised the players from Illkirch-Graffenstaden on their performance. 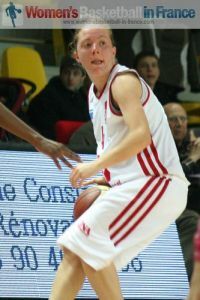 Céline Schmitt-Sendner was delighted with the way Illkirch-Graffenstaden played collectively and that they were not afraid to take on their opponents. She was hoping that the team could take all the positive points from this match for the rest of the season. Les Illkirchoises trainaient dès le début de la rencontre. Mais les Battaglia, Nestor-Deininger, Njonkou et Schmitt-Sendner n'abdiquaient pas et surtout dans la première mi-temps pouvaient faire face à une équipe du pays d'Arras un peu trop en recul par rapport à leur défense. L'approche plutôt physique des Alsaciennes ralentissait leurs adversaires dans leurs avances de creuser un écart important. Les attaques énergiques de Konteh (8 points dans le premier quart) et de Akkonga-Nsimbo et les tirs prime de Mitchell et Cousseins-Smith permettait quand même à Arras de rentrer dans les vestiaires avec 5 points d'avance (41-36). Quoique les duo-vétérans Schmitt-Sendner (24 points), Nestor-Deininger et Njonkou continuaient à attaquer le panier, leurs adversaires étaient plus aggressives avec Reghaissïa et Badé dans la raquette, Mitchell plus adroites aux passes décisives et Cousseins-Smith et Tchangue appliquant une défense tout terrain. La maladresse des Illkirchoises au lancer franc les handicappa (22/38), pourtant ne les arrêta pas dans leur dynamique du jeu. 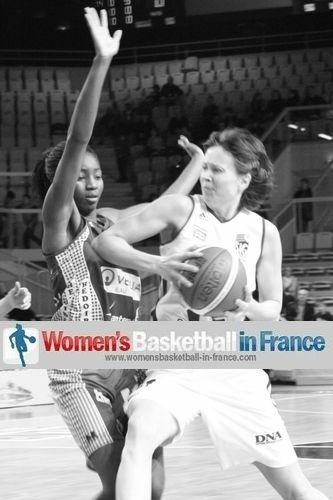 A la fin Arras s'imposa (82-70) en se qualifiant en 8ème de la Coupe de France mais avait dû se battre contre une équipe courageuse et pleine d'envie de gagner.